In this article, the author makes the case for carbon pricing as a mechanism to fortify flimsy nationally determined contribution (NDC) plans, steer investments in the right direction and ultimately curb emissions. The author suggests that carbon pricing should not only be considered in the narrow context of climate protection, but in the broader context of the sustainable development goals (SDGs). The leadership of Angela Merkel can provide a good chance for a push towards implementing carbon pricing in the G20 context. The increase in global greenhouse gas emissions will not be stopped through the implementation of the nationally determined contributions (NDCs) under the Paris Agreement; the growth up to 2030 will just be a little slower. In fact, the combined effect of all mitigation pledges would still be insufficient even if they were adequately implemented. Moreover, only a few out of 150 countries submitted concrete policies and implementation plans for their intended national contributions, leading to considerable uncertainty. It is of utmost importance to back the rather vague and loose intentions of the NDCs with substantive instruments. An effective instrument to steer investments in the right direction and ultimately curb emissions would be a price on carbon, either through a tax or a functioning emissions trading system. Since the industrial revolution, economic development has been largely based on the consumption of fossil fuels. But in order to mitigate climate change, it is crucial to separate economic growth from emissions growth. Despite the fact that renewables are on the rise in several industrialised economies, many countries are still relying on the use of coal, which stands by far as the world’s cheapest source of energy. There is also an abundant supply of fossil fuels still available in the ground. If we want to achieve the two-degree target with high probability, the atmosphere can only absorb another 800 gigatons of carbon dioxide (CO2) in total. However, the Earth still harbours about 15,000 gigatons of CO2 in the form of fossil fuels. This means that at least 40 percent of the Earth’s oil, 40 percent of the gas and, especially, 80 percent of the coal will have to remain in the ground. Nonetheless, the use of coal, oil and gas is subsidised on a global scale with an estimated US$150 per ton of CO2, if all externalities, such as negative health impacts, are included. Thus, the political and economic challenges are immense. As a first step, huge progress could be made by dismantling the exorbitant coal subsidies, as has been shown by the Mercator Research Institute on Global Commons and Climate Change (MCC). According to recent MCC research, this measure alone could grant universal access to drinking water to people in 70 countries of the world, sanitation to 60 countries and electricity to 50 countries over the course of the next 15 years — provided that the money presently going to coal subsidies is diverted to the construction of these infrastructures. At the same time, this measure would function as a poverty alleviation programme. Climate change mitigation will only be successful if a “just transition” is ensured where emerging economies can be assured that this will not hinder their development. This means carbon pricing should not only be considered in the narrow context of climate protection, but in the broader context of the sustainable development goals (SDGs), adopted by all 193 UN members states in 2015. The industrialised countries would likewise benefit from carbon pricing. In particular the finance ministers — even if they do not care much about climate policy — stand to benefit from this regime. Similar to an eco tax, a carbon tax can be used, for example, to lower other taxes, such as income taxes or capital gains taxes. It could also be used to improve the public transport system. What role for the G20? A suitable forum for promoting carbon pricing internationally would be the group of the 20 major economies (G20). The G20 countries are responsible for roughly 80 percent of global emissions and are thus heavyweight players in climate policy. In addition, they have all submitted their NDCs and 18 of them have already ratified the Paris Agreement. The current political climate appears more favourable than ever to the introduction of a carbon price, not least with the announcement by China — the largest emitter of greenhouse gases — that it will launch the world’s largest emissions trading scheme in 2017. Together with Europe, the People’s Republic could create the world’s largest carbon market. Were this to happen, the turnaround of international climate policy would be as irreversible as climate change is today. In the end, 2017 could be a starting point for the achievement of new milestones in climate protection. Under the leadership of Angela Merkel there is a good chance for a push towards implementing carbon pricing in the G20 context. This would allow the world to pursue a path of growth that both protects the environment and lifts people out of poverty. 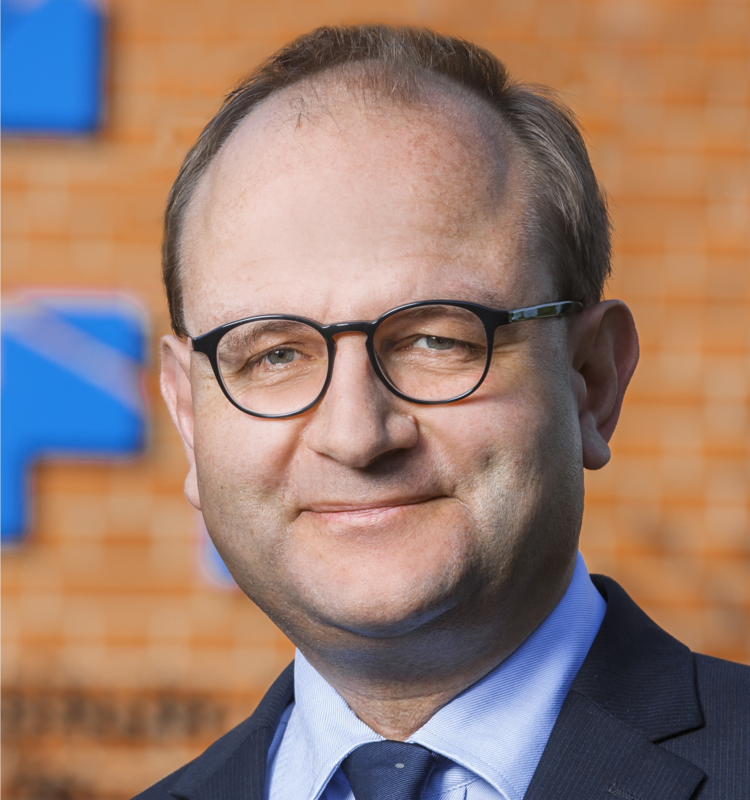 Prof. Ottmar Edenhofer is the director of the Mercator Research Institute on Global Commons and Climate Change (MCC), chief economist at the Potsdam-Institute of Climate Impact Research (PIK) and Professor of the Economics of Climate Change of the Technical University Berlin.